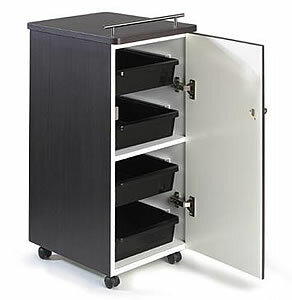 The Prima Salon Trolley is a lockable trolley with one fixed shelf and four slide out trays. Available in a choice of laminate from the REM laminate range (Please use the drop down box to choose your colour). Dimensions width 34cm, height 80cm, depth 43cm.